The history of fashion in India is just three decades old. 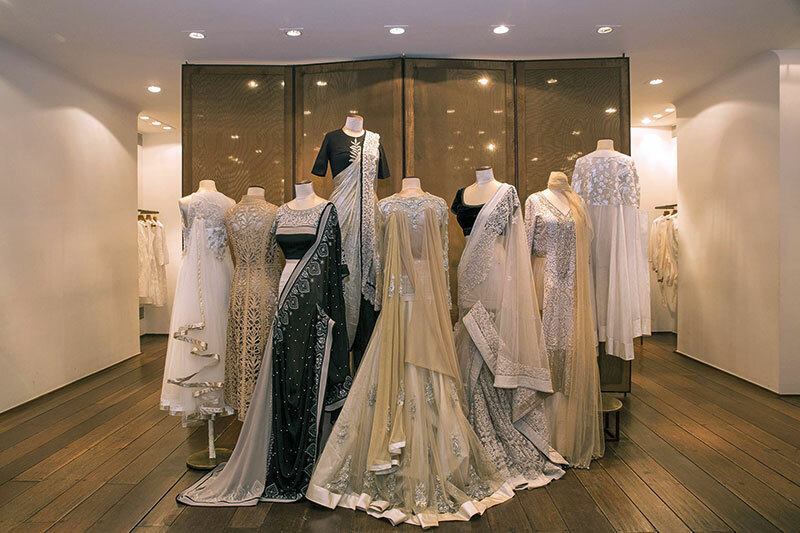 In a sense it all began with Ensemble, the multi-designer store in Mumbai, set up by couturier Tarun Tahiliani and his wife Sailaja or ‘Sal’, helped by the late fashion pioneer, Rohit Khosla. Today, the face of the boutique is Tarun’s sister and understated-but-stylish executive director Tina Tahiliani Parikh, an investment banker who returned from San Francisco to take over merchandising, marketing, finance, operations and strategic direction. 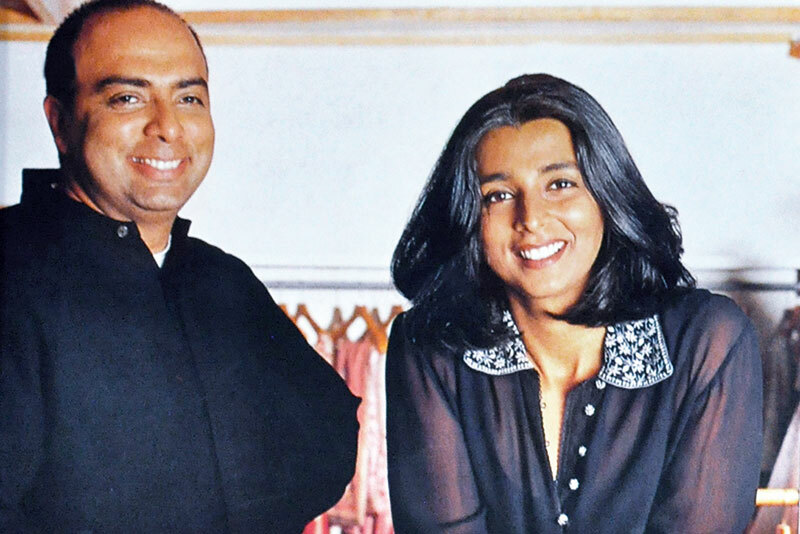 Tarun, Sal and Tina little realised that they would, in due course, be spearheading the country’s couture direction by presenting the first generation of Indian designers including Rohit Khosla, Abu Jani and Sandeep Khosla, Suneet Varma and Tarun himself. At about the time — some decades ago, when Ensemble launched — that I interviewed Tarun and Sal for the now-defunct city fortnightly, Bombay, there was no hint of any home-grown, glitzy, high-gloss publication. 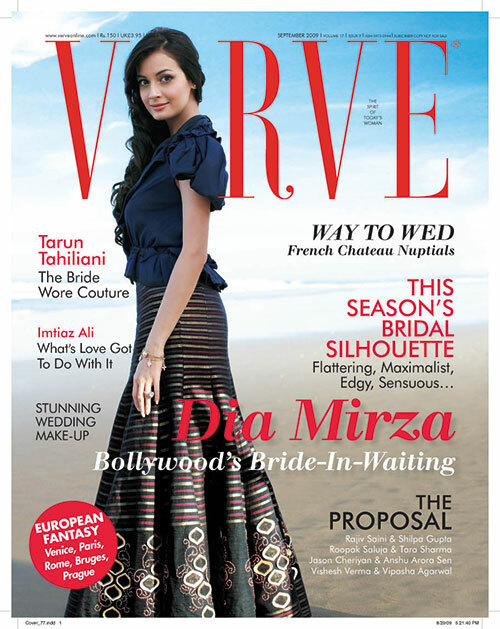 But, it was only a few years later that Verve, India’s first women’s fashion and lifestyle quarterly, was born. As the country’s fashion industry took tiny steps of growth and Tarun more gigantic steps towards fame, so did the publication follow that burgeoning story, a tale that has grown into a sartorial storm. Today, Ensemble, poised for a new beginning, is scheduled to reopen its doors to its fan following. The magazine too stands braced to renew itself, as it always has, to keep in step with evolving times with a new web presence slated to grow prodigiously. “One thing that I am grateful to our designers for is their celebration of our heritage, making it contemporary and saving it,” Tina asserts, a thought that we feel very strongly about as well. The story of both, the store and the magazine, seem to run parallel with ideologies that move together, as if on the same red carpet. Both have aimed to nurture local design as well as designers. For Ensemble, it was about curating the best of Indian fashion for its shelves and its early fashion shows (Aishwarya Rai Bachchan and Mehr Jesia Rampal started out on their ramp) and for us, the best for our pages. “Ensemble has continued this vision and culture of showcasing Indian talent and, most importantly, helping customers understand and interpret the nuances of not only fashion, but of beautiful pieces. From fabrics and weaves to textures and colours, each piece of clothing tells its own story,” says Tina. And Verve has been there to relate the backstories — in colour, in black-and-white, in the words of observers, in our own words. We have moved gently through workshops, homes and collections. We have attended every fashion show imaginable. We have travelled to where deft craftspeople have created priceless heirlooms to be passed down through families. We have applauded the revival of Indian embroidery, handlooms, and traditional styles. We have saluted innovation in cut and drape. We have decked out the leggiest models and selected the best-dressed among Indian women. We have picked power minds, creative brains and burgeoning talents to present the best of the country to our readers. We have influenced opinions and spoken to the influencers. For both, it has been a journey of commitment — to tradition, to design, to the wearer, to the reader — to Indianness. A commitment to sartorial excellence. Both have been the curators of exceptional taste, consistently choosing the highest quality on offer. The most magnificent trousseaus and couture for our brides, the most stunning ready-to-wear collections for our daughters, and today, the trendiest of styles for our sons. Just as Verve has been publishing the men’s supplement for the last so many years, bringing edgy dudes into the fashion fold, Ensemble will now add a new menswear space. Good design must encompass all, we say. “Fashion is not just a shirt or a necklace or a sari. What you wear tells the story of your life,” says Tina. And, you can be sure that Verve will be there to record all the memorable hours.